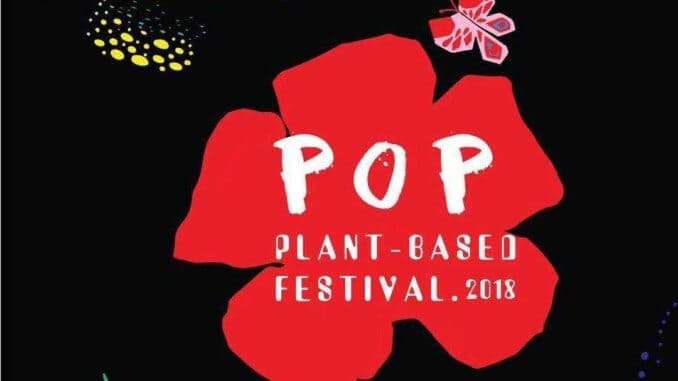 The Pop Plant-Based Festival 2018 is taking place this weekend in Beijing. This Saturday 22 and Sunday 23 September, the International Art Plaza, will host China’s first-ever plant-based festival brand. The event will include an outdoor plant-based market, outdoor fitness festival, live music, and night-time party. There will be 100 vendors, 100 media partners, industry leaders, KOLs, Chinese celebrities, and an estimated 10,000 attendees. The food section will consist of international F&B brands making food on-site for customers to experience Beijing’s amazing plant-based culture. The branded products section will feature healthy, organic, and green brands in the categories of sports, clothing, culture, art, beauty, etc. The first-ever “Everyone Sweat” outdoor sports event in Beijing, featuring various different exercises and classes taught by leading fitness coaches from Beijing and Shanghai—yoga, Zumba dance, fit aerobics, TRX, CrossFit, etc. You can try different exercises for the whole day while exploring healthy food and trendy fitness clothes. Dry skiing brands “Summer Air” and “No Baday” will join for the main performance. China’s first-ever plant-based party night! Inspired by London’s “Vegan Nights,” this party gives you an opportunity to release yourself after a day of healthy eating and exercise. Taking place at a trendy indoor venue, the party will feature live DJs, tasty plant-based food, craft beer, organic wine, and delicious cocktails.